Far away in Bethlingham, a greedy prince starts stealing from the poor. When Robin Good's men retaliate by robbing from the rich, he refuses to join them. But then the prince captures his friends! Can he overcome his hurt in time to rescue them---and restore the townspeople's hope? Includes a bonus episode, "Lenny & the Lost Birthday." Approx. 45 minutes total. I love all VeggieTales, and especially this latest one, because of the great message, the fun songs, and the silly characters! It gives my son a good message while entertaining him! As always, the Robin Good DVD did not disappoint. It was an enjoyable family movie for us to sit down to on our weekly Sunday movie night, laugh, and learn a good lesson for life! 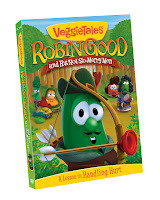 Buy It: You can purchase Robin Good and His Not-So-Merry Men DVD for $14.99 on the VeggieTales website. 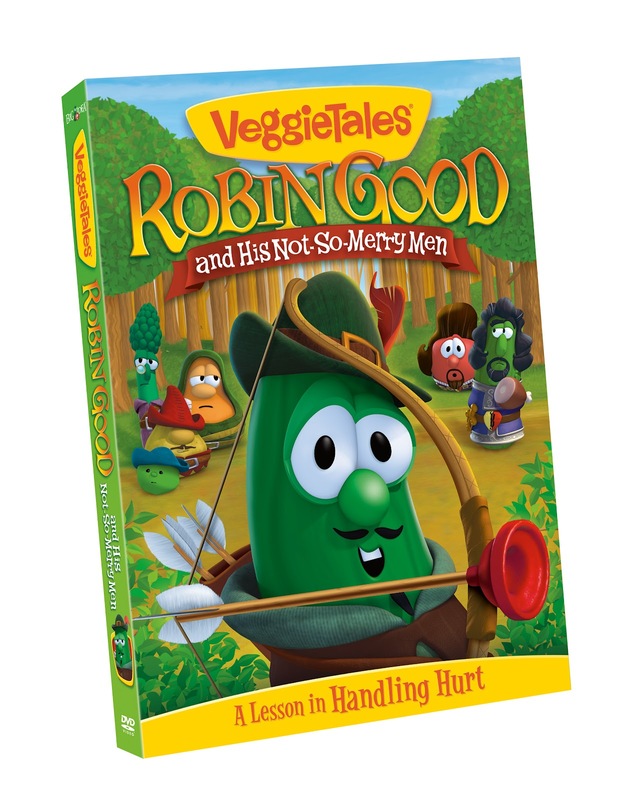 Win It: VeggieTales is generously offering (1) Robin Good and His Not-So-Merry Men DVD to a lucky winner!